Carrollite: Mineral information, data and localities. Named in 1852 by William Leonard Faber after the type locality in Carroll County, Maryland, USA. Thiospinel Group. Copper in carrollite was recently shown to be monovalent. Calcite 99 photos of Carrollite associated with Calcite on mindat.org. Chalcopyrite 44 photos of Carrollite associated with Chalcopyrite on mindat.org. Bornite 14 photos of Carrollite associated with Bornite on mindat.org. Dolomite 11 photos of Carrollite associated with Dolomite on mindat.org. Quartz 7 photos of Carrollite associated with Quartz on mindat.org. Chalcocite 5 photos of Carrollite associated with Chalcocite on mindat.org. Cerite-(Ce) 2 photos of Carrollite associated with Cerite-(Ce) on mindat.org. Ferriallanite-(Ce) 2 photos of Carrollite associated with Ferriallanite-(Ce) on mindat.org. Törnebohmite-(Ce) 1 photo of Carrollite associated with Törnebohmite-(Ce) on mindat.org. Bastnäsite-(Ce) 1 photo of Carrollite associated with Bastnäsite-(Ce) on mindat.org. May have exsolution lamellae with slightly higher Fe composition than the matrix. Riley, J.F. (1980) Ferroan carrollites, cobaltian violarites, and other members of the Linnaeite group: (Co,Ni,Fe,Cu)3S4. Mineralogical Magazine, 43:733-739. Faber, W. L. (1852) On Carrollite, a new Cobalt Mineral, American Journal of Science, second series, 13:418-419. Laspeyres (1891) Zeitschrift für Kristallographie: 19: 17. De Jong, W.F. and Hoog, A. (1928) Carrollite (sychnodymite). Zeitschrift für Kristallographie: 66: 168-171. Riley, J.F. (1980) Ferroan carrollites, cobaltian violarites, and other members of the Linnaeite group: (Co,Ni,Fe,Cu)3S4, Mineralogical Magazine, 43:733-739. Wagner, T., and Cook, N.J. (1999) Carrollite and related minerals of the linnaeite group: solid solutions and nomenclature in light of new data from the Siegerland district, Germany. Canadian Mineralogist 37:545–558. King, Van and Morgan, Robert L. (2005) Crystallography of Carrollite from the Kamoya South II mine, Democratic Republic of Congo. Program and Abstracts 32nd Rochester Mineralogical Symposium, Rochester, NY, USA, p. 18-19. Weiss, S. (2006) Carrollit, Dolomit, Nickelin, Sphärocobaltit und Baryt aus der Provinz Shaba, Kongo. Lapis 31 (9), 44-46 (in German). King, Van T. and Morgan, Robert L.(2008) Etching of Carrollite from the Kamoya South II Mine, Katanga, Democratic Republic Of Congo, Program and Abstracts 35th Rochester Mineralogical Symposium,p. 27-28. Pattrick, R.A.D., Croker, V.S., Pearce, C.I., Telling, N.D., and van der Laan, G. (2008) The oxidation state of copper and cobalt in carrollite CuCo2S4. Canadian Mineralogist: 46: 1317–1322; in: Ercit, T.S., Piilonen, P.C., Poirier, G., Tait, K.T. (2009): New mineral names. American Mineralogist: 94: 1075-1083. Gauthier, Gilbert, King, Van, and Morgan, Robert. Carrollite from Kamoya South II Mine, Katanga, Democratic Republic of the Congo. Mineralogical Record, (in press). The following Carrollite specimens are currently listed for sale on minfind.com. Firstova, A., Stepanova, T., Cherkashov, G., Goncharov, A., & Babaeva, S. (2016). Composition and formation of gabbro-peridotite hosted seafloor massive sulfide deposits from the Ashadze-1 hydrothermal field, Mid-Atlantic Ridge. Minerals, 6(1), 19. Davidson, G. J. et al. (2007): Economic Geology 102, 1471-1498. Morales-Ruano, S., Both, R.A., Golding, S.D. (2002) A fluid inclusion and stable isotope study of the Moonta copper-gold deposits, South Australia: evidence for fluid immiscibility in a magmatic hydrothermal system. Chemical Geology, Vol. 192, pg. 211-226. Ostwald, J (1978) Linnaeite series minerals from the Kalgoorlie district, Western Australia, Mineralogical Magazine (Mar 1978) Vol.42 pp.93-98. 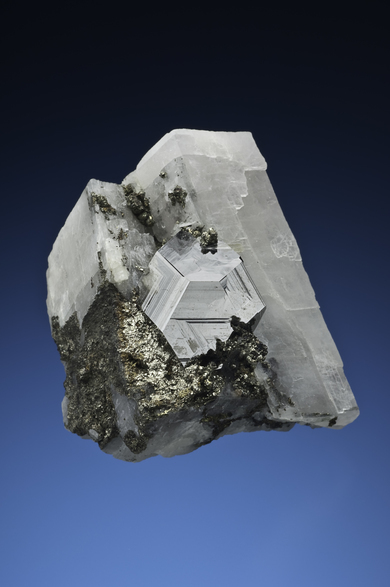 Girtler, D. & Tropper, P. (2015): Seltene Ni-Co-Sulfide aus der Manganlagerstätte Veitsch (Grauwackenzone, Steiermark). Poster, MinPet 2015, Leoben, Austria, September 10-13; abstract in Mitteilungen der Österreichischen Mineralogischen Gesellschaft 161, 35. Dzemua, G. L., & Gleeson, S. A. (2012). Petrography, Mineralogy, and Geochemistry of the Nkamouna Serpentinite: Implications for the Formation of the Cobalt-Manganese Laterite Deposit, Southeast Cameroon. Economic Geology, 107(1), 25-41. Li, Y. and Qing, C.K. (1999): Acta Mineralogica Sinica 19, 426–435. Qijia Zang (1984): Acta Mineralogica Sinica 1984(1), 74-77. Yu Zuxiang (1997): Acta Geologia Sinica 71(4), 329-331. Yu, Z., Cheng, F., Ma, H. (2009): Lisiguangite, CuPtBiS3, a new platinum-group mineral from the Yanshan Mountains, Hebei, China. Acta Geologica Sinica, 83, 238-244. Yu Zuxiang (1981): Geological Review 27, 55-71. Fan, D., Hein, J.R., and Ye, J. (1999): Ore Geology Reviews 15(1), 135-151. Yongbei Zhang, Shihua Sun, Chengyan Xu, Hao Wang, Chongsun Zhao, and Zhihua Zhu (2003): Resource Geology 53(4), 261-272. Gauthier, G., King, V., and Morgan, R., in press, Carrollite from Kamoya South II Mine. ; Cailteux, J. L. H., Kampunzu, A. B., Lerouge, C., Kaputo, A. K., & Milesi, J. P. (2005). Genesis of sediment-hosted stratiform copper–cobalt deposits, central African Copperbelt. Journal of African Earth Sciences, 42(1), 134-158. Gauthier, G., King, V., and Morgan, R., in press, Carrollite from Kamoya South II Mine. King, V. & R.L. 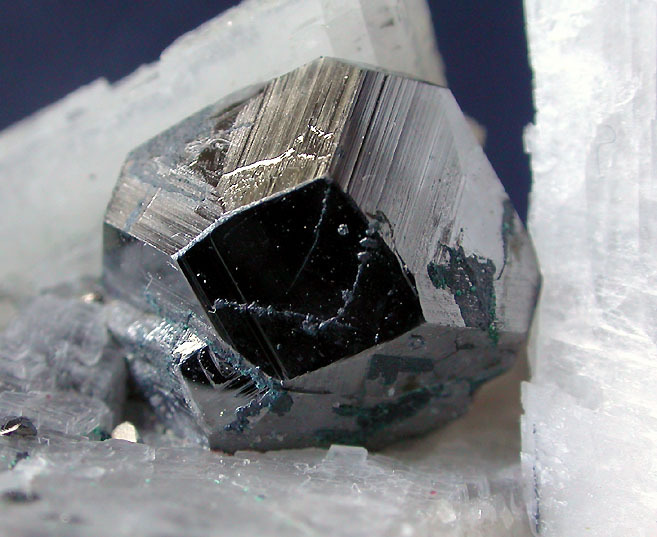 Morgan (2005), Crystallograpy of Carrollite from the Kamoya South II mine, Democratic Republic of Congo, Rochester Mineralogical Symposium. Kampunzu, A.B., Cailteux, J.L.H., Kamona, A.F., Intiomale, M.M., and Melcher, F. (2009): Ore Geology Reviews 35, 263-297.; Chabu, M. (1995). The Geochemistry Of Phlogopite And Chlorite From The Kipushi Zn-Pb-Cu Deposit, Shaba, Zaire., Canadian Mineralogist 33, 547-558. Fay, I., & Barton, M. D. (2012). Alteration and ore distribution in the Proterozoic Mines Series, Tenke-Fungurume Cu–Co district, Democratic Republic of Congo. Mineralium Deposita, 47(5), 501-519. Mutanen, T. 2010. Alkalikiviä ja appiniitteja. Raportti hankkeen "Magmatismi ja malminmuodostus II " toiminnasta 2002-2005. Piirainen, Tauno 1968. Die Petrologie und die Uranlagestätten des Koli-Kaltimo-gebietes im Finnischen Nordkarelien. Bulletin de la commission Géologique de Finlande. Dana 6: 1049 & Dana 7:I:264. Laspeyres (1893) (as sychnodymite). ; Blaß, G. and Graf, H.W. (1994) Neue Funde. Mineralien-Welt, 2/94, 46-47 (referring to Laspeyres). ; Golze, R., Henrich, M., Hucko, S., and Stötzel, N. (2013) Siegerland & Westerwald. Bergbaugeschichte - Mineralienschätze - Fundorte, pp. 371-379. Helsper, G. and Latsch, H. (1991) Die neueren Mineralfunde im Siegerland. Lapis 7/8, 68-74.; Blaß, G. and Graf, H.W. (1994) Neue Funde. Mineralien-Welt, 2/94, 46-47 (referring to Helsper & Latsch, 1991); Wittern, A. (2001) Mineralfundorte in Deutschland. Blaß, G. and Graf, H.W. (1994) Neue Funde. Mineralien-Welt, 2/94, 46-47. Handbook of Mineralogy - Anthony, Bideaux, Bladh, Nichols; Tatsumi, T., Nakayama, F., Urabe, T., & Shimazaki, H. (1975). Carrollite from the Sazare mine, Ehime Prefecture, Japan. 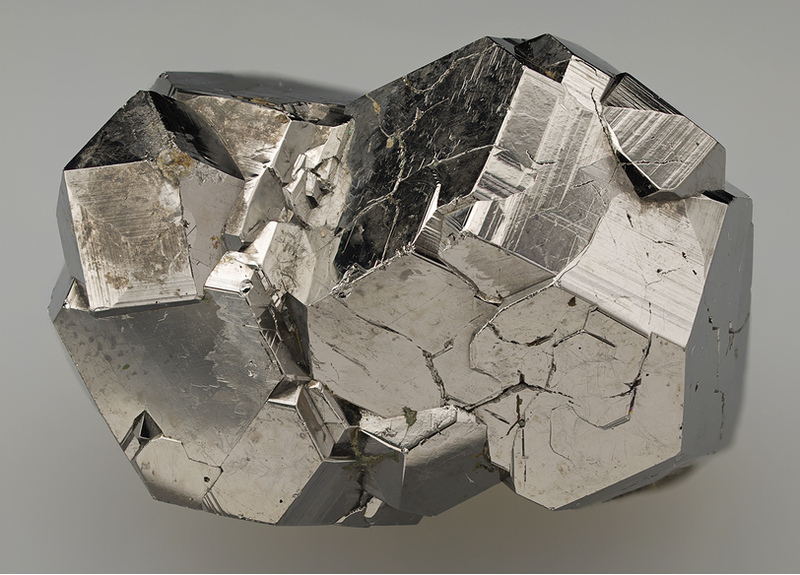 Mineralogical Journal, 7(6), 552-561. Norges Geologiske Undersøkelse. Malmdatabasen. Forekomstområde 237 - 001. Neumann, H. (1985): Norges Mineraler. Norges geologiske Undersøkelse Skrifter 68, 278p (p. 32). Vokes, F.M. (1957): On the presence of minerals of the linnaeite series in some copper ores from the Raipas formation of Northern Norway. Norges Geologiske Undersøkelse. 200, 112-120. Hannington, M. D., Galley, A. G., Herzig, P. M., & Petersen, S. (1998). 28. COMPARISON OF THE TAG MOUND AND STOCKWORK COMPLEX WITH CYPRUS-TYPE MASSIVE SULFIDE DEPOSITS1. In Proceedings of the Ocean Drilling Program: Scientific Results (Vol. 158, p. 389). The Program. Pinto, A., Bowles, J. F. W., & Gaspar, O. C. (1994). The mineral chemistry and textures of wittichenite, miharaite, carrolite, mawsonite and In±Bi±Hg tennantite from Neves-Corvo, Portugal. IMA 94. In XVI General Meeting of IMA, Pisa, ItaÂlia, Abstracts. ; Cabri, L. J., Gaspar, O. C., Lastra, R., & McMahon, G. (1998). Distribution of gold in tin-rich samples from the Corvo orebody, Portugal. The Canadian Mineralogist, 36(5), 1347-1360.
www.minerals-of-the carpathians.eu (2009); Cook, N. J., Ciobanu, C. L., & Bogdanov, K. (2002) Trace mineralogy of the Upper Cretaceous banatitic Magmatic and metallogenetic Belt, SE Europe. In 11th Quadrennial IAGOD symposium–Geocongress 2002, Windhoek, Namibia, July 2002. CD Volume of extended abstracts. Melekestseva, I. Yu. ; Kotlyarov, V. A. (2008): Carrollite of Ivanovskoe cobalt-copper massive sulfide ore deposit, southern Urals. Zapiski Rossiiskogo Mineralogicheskogo Obshchestva 137, 22-26. Murzin, V. V., & Sazonov, V. N. (1999). Gold-Bearing Mineral Assemblages in the Copper and Iron Skarn Deposits of the Tur'insk-Auerbakhovsk Ore Field and Their Formation Condition (the Urals, Russia). Geology of Ore Deposits C/C of Geologiia Rudnykh Mestorozhdenii, 41, 308-321. Ozdín D. & Chovan M. 1999: New mineralogical and paragenetic knowledge about siderite veins in the vicinity of Vyšná Boca, Nízke Tatry Mts. Slovak Geological Magazine 5, 4, 255-271. Faber (1852); Dana 7:I:264; Mineralogical Magazine:43:733 (1980). Dana 6: 1071; Rocks & Min. : 11:27, 121.; U.S. Geological Survey, 2005, Mineral Resources Data System: U.S. Geological Survey, Reston, Virginia. Econ Geol (1986) 81:1838-1852; U.S. Geological Survey, 2005, Mineral Resources Data System: U.S. Geological Survey, Reston, Virginia. ; Torremans, K., Gauquie, J., Boyce, A. J., Barrie, C. D., Dewaele, S., Sikazwe, O., & Muchez, P. (2013). Remobilisation features and structural control on ore grade distribution at the Konkola stratiform Cu–Co ore deposit, Zambia. Journal of African Earth Sciences, 79, 10-23. Kamona, A.F., Lévêque, J., Friedrich, G., and Haack, U. (1999): Mineralium Deposita 34, 273-283.